I love teaching saxophone, flute, composition and digital music production. 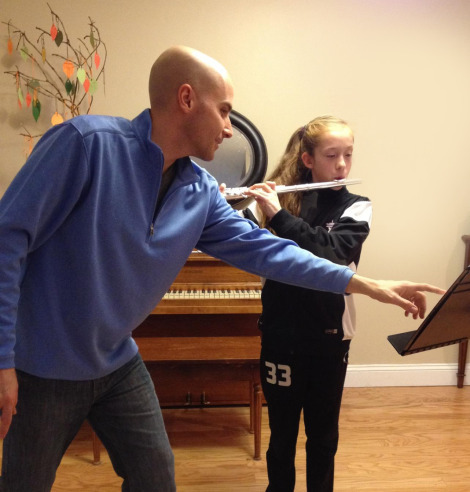 I help students with technique, healthy use of breath and body, improvisation, sight reading, theory, composing, and more. The U.S. State Department recently invited me to teach and perform at the Nicaragua International Jazz Festival and the Tres Mundos institute. I have 18 years teaching experience and spent three of those years in a teaching artist band that toured the U.S. and worked with K-12, college and adult students. Monday, Tuesday, Wednesday at Music & Arts in Issaquah. I set my schedule to be there for you every week. If I miss a lesson, I credit your account. There are no make up lessons. If you miss a lesson, you are responsible to pay for the lesson and we continue when you return. Flex scheduling during summer break is available to accommodate long vacations but must be arranged in advance. No drop-in lessons. Holidays – If your lesson time falls on one of the holiday times listed below, you will be credited for the missed lesson. $62/60 min or $31/30 min. The system pro-rates your payment in the event of my sickness or absence. Phone (2O6) 930 – Five One Zer0 Five for more information.